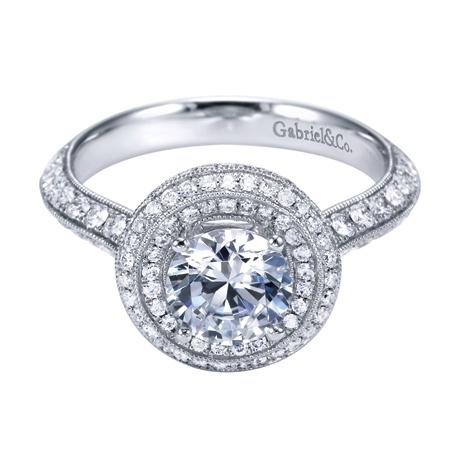 A halo within a halo! 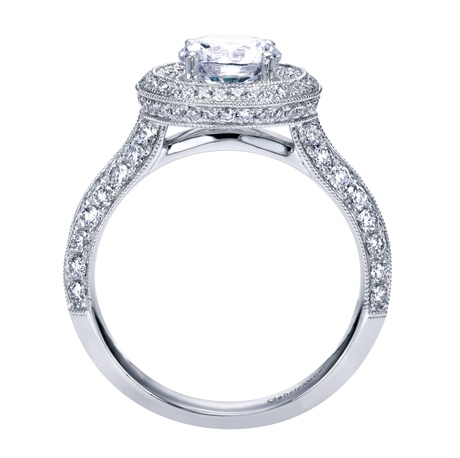 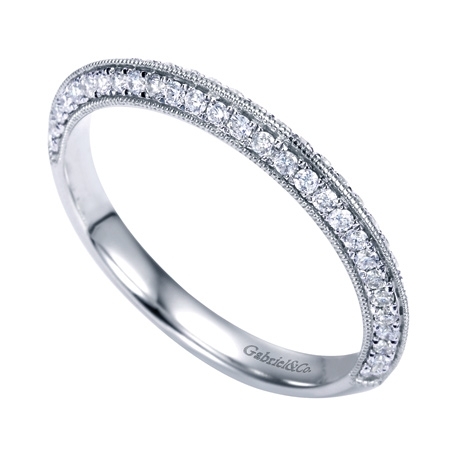 This fashionable choice features a double row of round brilliant diamonds. 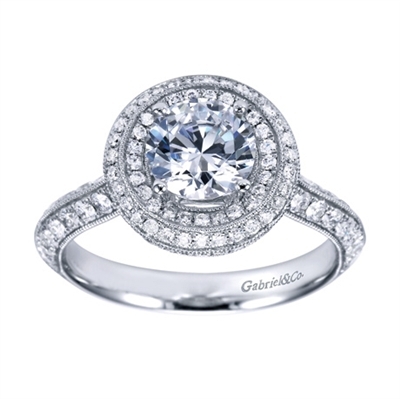 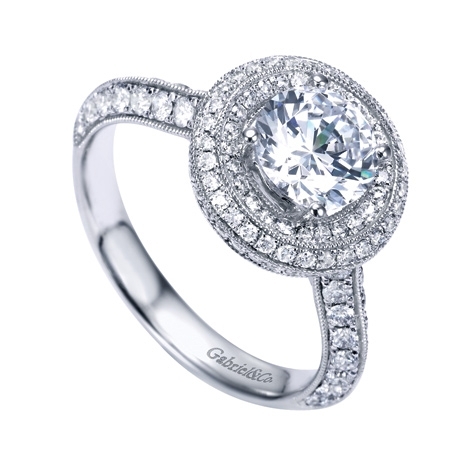 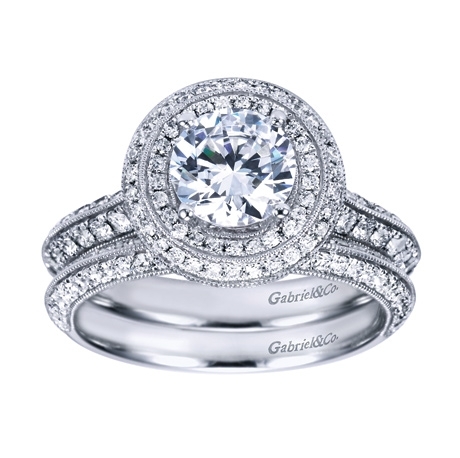 With 120 round diamonds embellishing the beauty of a center stone, she will be thrilled..
A double halo greets her every time, with round brilliant diamonds in white gold wraps around a round center diamond in this contemporary halo engagement ring by Gabriel & Co.